I’ve posted about artists who re-work classic pieces of art with a fresh perspective, breathing new life into images we’ve surely seen dozens of times. I especially like it when artists incorporate mosaics into their approach. 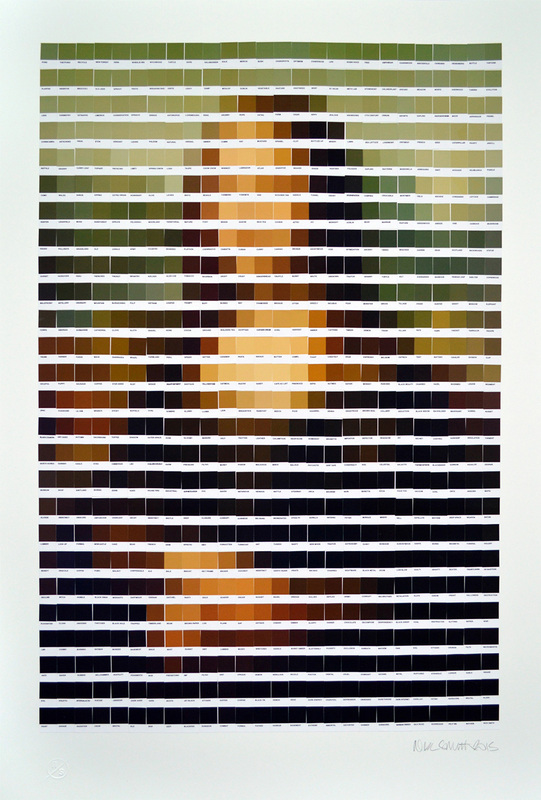 Nick Smith is a London-based visual artist and interior designer who focuses mostly on screen printing and has most recently created a series of work using Pantone color swatches. This entry was posted in Art, Fine Art, Mosaics, Nick Smith and tagged mosaics, Nick Smith, Pantone, pixels, swatches on February 6, 2015 by Robert DeCarolis.